Do luxury watchmakers have the stones to go smart? With the rise of smartwatches the traditional watchmaking industry has reached a crucial crossroads. Go smart or stay true. It's faced big decisions like this one before. When the cheaper and more accurate quartz crystal came along to disrupt the traditional mechanical movements, soothsayers prophesied doom for the industry. When digital arrived and Casio cashed in, the same was predicted. Now, it's the moment of the smartwatch revolution. But will the likes of TAG and Rolex go smart, as tech-giant Apple moves onto their patch? And do they have what it takes to create a smartwatch success story of their own? Wareable grilled CEOs of two of the companies in that very position. The first was Jordy Cobelens, the man behind the leading oversized watch brand TW Steel ('The Watch in Steel') who was named 'Emerging Entrepreneur of the Year 2011'. The second was a 30-year veteran of the watchmaking industry and co-founder of Torgoen Swiss Watches, a company specialising in wristwear for pilots, Benzi Rosenski. So, do watchmakers have the stones to go smart? Are classic and luxury watchmakers and designers willing to incorporate displays and circuitry into their creations? "Ultimately that’s down to the production goals of the watchmakers and their designers. Obviously the likes of the traditional Swiss Made brands are very big on building their own in-house components and movements. Personally speaking, I don’t see it happening!" Is the watchmaking industry steeped in too much tradition for this kind of change? "Probably! Heritage is such a strong component of the branding of most watch companies and change, or certainly modernisation, isn’t always appreciated or embraced. Fortunately, TW Steel is still a relatively ‘young’ brand in the watch sector, as we celebrate our 10th anniversary in 2015. We’re not bound by decades of a certain way of watchmaking. Therefore, we’re certainly more open to change if it fits with our strategy." Will inserting connected technology into classic and luxury watches ruin their charm and appeal? "Watches are about making statements, either about yourself, your status or your particular style choices. Certainly the people buying those higher-end and luxurious watches do so because they’re buying into the pedigree of that brand and what it says about them. If they can find a way to fuse connected technology and still retain their appeal and values, then I’m sure we’ll see some brands tackle it down the line." Is the watchmaking industry in touch with a younger generation that's been used to wearing no watch at all? "The need to wear a watch at all times is undoubtedly gone in terms of it being a practical accessory. The younger generation, and indeed most people now, tell the time via their smart devices. but they still look to create an identity for themselves. They want to stand out from the crowd with their own style choices." 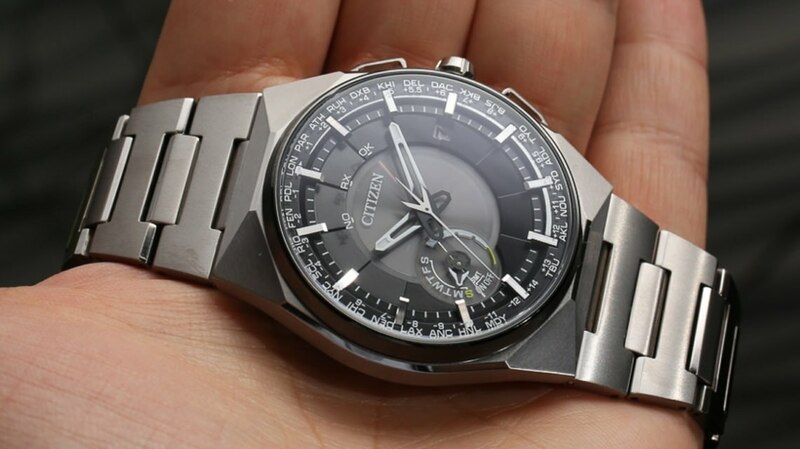 "Some of the mid-priced watch brands will surely attempt to go smart, but I doubt that luxury watch brands will go there because they are not about electronics and high tech. Is there a serious watch company out there that plans to go smart? Rumours say that the Swatch Group is planning to launch one but some reports say the opposite." "We will have smartwatches all over the place and they will get cheaper according to Moore’s Law. Many developers from China are partnering up with watch manufacturers and are working diligently to come up with more and more apps. There will be an explosion and it will be cheap." "Luxury watch buyers are obviously not interested in mere time telling and I doubt that these people would like to add more functions on their wrists. They are about the appreciation of craftsmanship, design and tradition. Adding “smart” functionality will definitely ruin their charm and appeal." "Contrary to what we feel and see, the fact is that the watch industry is experiencing significant growth, at least in their dollar volume. Maybe fewer people buy watches, but those who buy them do so more frequently and they seem to be willing to pay more per piece." Fancy clocking in on the smartwatch action? Consult our handy guide to decide which one is the best buy for you.